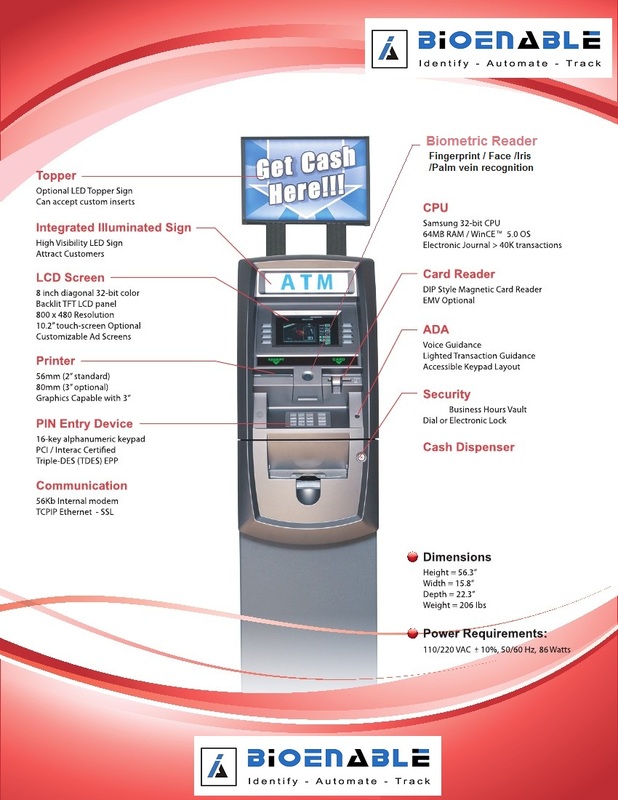 Biometric ATM are used for wide range of applications like for Banking, Coupons & Self service ATM. Biometrics ATM offer ATM type interface along with at-least one Biometrics capture device like Fingerprint Scanner, Iris camera, Palm/Finger Vein scanner , Face recognition camera. They are often called Multi-Biometrics ATM, Wall mount Biometrics ATM, Biometrics Devices / Machine. Most of the ATM in the past have been using ID cards to identify users but with the wide acceptance of Biometrics , a new generation of Biometrics ATM are being deployed for wide range of applications worldwide. Why use Biometric ATM ?